Tulips. Planning to serve food at your party? Well, tulips in Europe actually used to be eaten with oil and vinegar, and sometimes the flower bulbs themselves were boiled and cooked in sugar—or candied. If edible tulips are not your preference, you can still use these beautiful bulbs as event flower decorations. Just tie fresh cut tulips with a folded napkin—a cylindrical fold, or roll works best—using a rubber band or length of twine. Red, pink or yellow go wonderfully with white napkins and tablecloths. You have yourself a homemade table setting and spring themed decoration. Hyacinths. Long, glorious profusions of star-like flowers make hyacinths look like spring’s own sparklers, shooting fragrantly through the air, perfect for flower arrangements in tall vases, country jugs or pitchers, and outdoor displays. 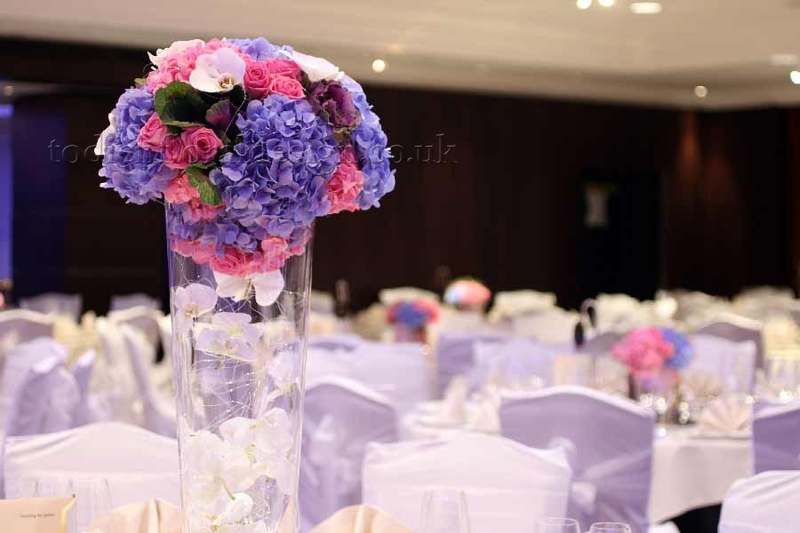 Hyacinths also symbolise the sincerest and most earnest of intentions, and accordingly come in playful, lively spring colours of lavender, bright yellow, pure white and festive pink. Whether you want to show your hyacinths inside or out, try arranging them in a brown woven basket that you can position on windowsills, tabletops, and even outside to greet your guests as they arrive. Daisies. Daises give you the best of both worlds—gorgeous and delicious, you can create a spring bouquet of daises or use their edible flower buds and petals to decorate, flavor and add healthy vitamins to dishes including green salads, soups chilled or hot, and sandwiches. Daffodils. A spring perennial iconic of the season, daffodils found their way to Britain via Romans (who at the time believed daffodils had medicinal properties, when in fact their juice can act as an irritant). White or yellow daffodil flowers still attached to their bulbs can be placed in a wide, solid cocktail glass or a heavy chalice for a modern chic springtime effect. Add water with a light amount of soil or blue and green coloured marbles or decorative stones for a marine or “out in nature” look. Irises. The iris, with its name borrowed from the Greek goddess of rainbows, symbolises love and beauty and bodes very well for any party. Fortunately you don’t have to restrict irises to your garden or flowerbeds, but can bring them inside and arrange them in fishbowls. Lilies. It’s hard to find a flower more boisterous than the lily. They’re literally springing from the ground, the bouquet, blooms opening up like many starfish in an undersea formation. Or, in the case of calla lilies, like tiny trumpets—their curvaceous cups appearing perfect for holding a drop of nectar or dew. Fresh cut calla lilies also make excellent fishbowl arrangements.